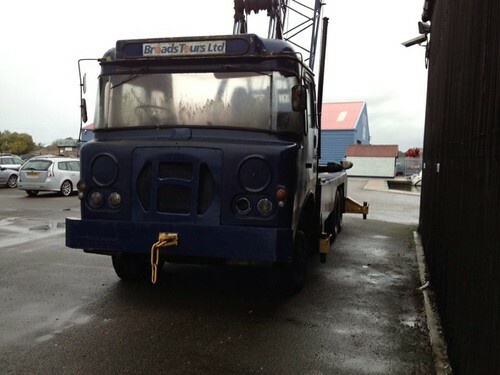 This entry was posted in Golden Oldies, Question Time, Roving Reporter!, Truck Detective by truckbloguk. Bookmark the permalink. 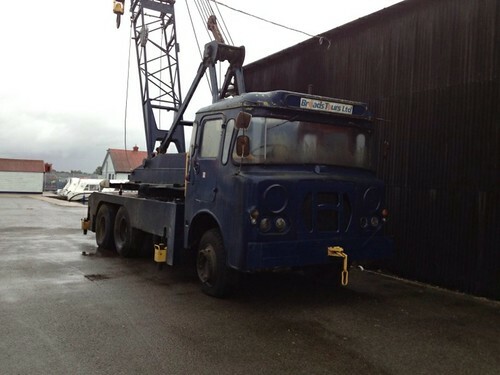 it’s a hydrocon hebridean crane, based more than likely on an Albion Reiver chassis. thought i recognised the H on the grill and fibreglass cab. I drove a later Hydrocon model was a Talisman i think , based on an Albion Clydesdale chassis but with a standard LAD cab. 20 tonnes on a 4 wheeler and about 100 bhp , 5 speed + splitter.